Speed up your carpet cleaning equipment set up time by eleminating looking for two outlets on two separate circuits to plug in your dehumidifiers, extractors, airmovers and other equipment? Save time and labor on the job with the SBM5003 3-Prong Electrical Converter and 4 prong. This is perfect for water damage job sites to use to pug your dehumidifiers into or you high amp draw carpet cleaning machines. 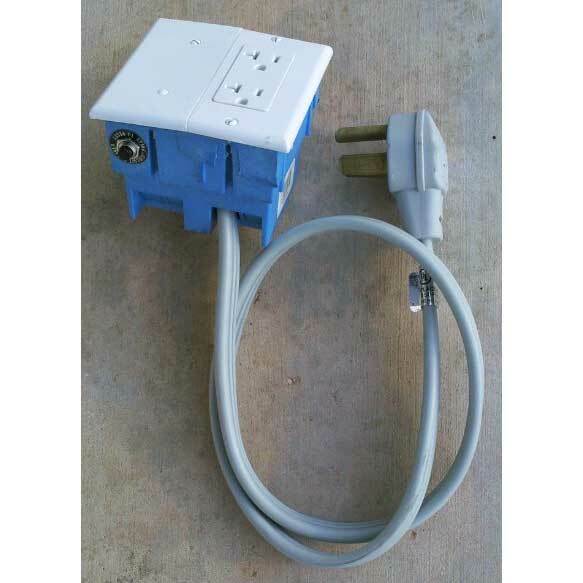 Doubles outlet access – Splits a single 230V, 30-amp-circuit appliance outlet into two usable 20 amp 115V circuits. Prevents circuit breaker blowouts – By offering built-in 25 amp circuit breakerprotection. Is versatile – Works great with all makes and models of dehumidifiers, extractors, airmovers, heaters – any product with an 115v to 120v power cord. Are you going to purchase this for your TMI Eclispe, Sandia 80-3500H, Clean Storm 12-3500-HAFAD or some other branded Dual 3 stage heated machine or some other high amp draw portable? 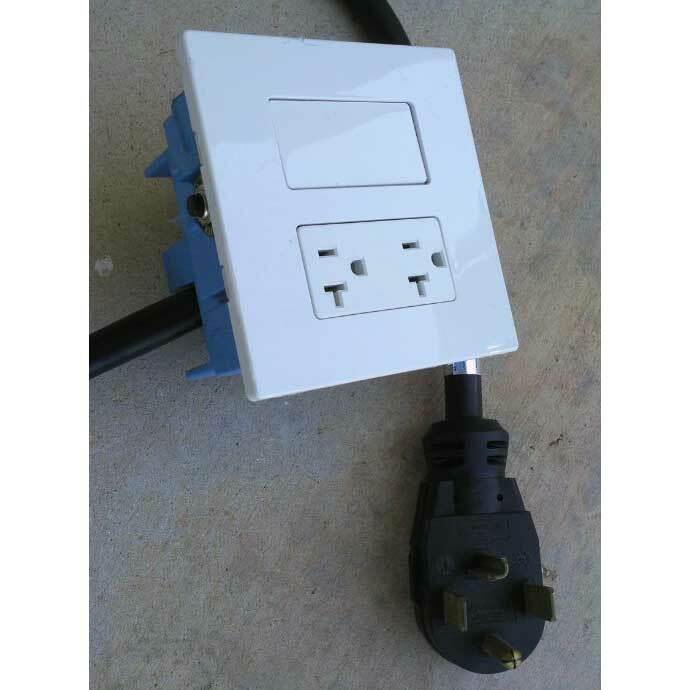 You should know that some other brands of converters use 20 amp breakers and we would get calls from customers that purchase this other brand and stated that they where still tripping breakers. We always had to sell 25 amp breaks to thoses customers so they could switch the factory breakers out and install these new higher amp draw breakers. We have already done this for you in this model. Why? The first machine in the list above draws a full 20+ amps one at least one of the two power cords if you decide to turn on the heater, vacuum motor, and water pump at the same time. The push button breaker on the pump outlet on this above converter is still going to trip if you leave the standard 20 amp breaker installed. Change the breaker to 25 amps and your problem is solved. On the new Mighty portables, they mark the pump power cord with a yellow ban. This yellow banned cord is the cord you will need to plug into the 25 amp breaker. If you own one of these other branded converters this is a very easy fix and change out. Voids the warranty on the converter but at least you can use it. How safe is this? Well, used the 25 amp breaker switch out from 20 amp breaker on service trucks for over 10 years. So far the female receptical and the male plug on the end of the extension cord seam to be the weak link. They do get roasted and have to be changed out about once a year. Please note that it is the users responsibility to test the outbound current before use. Just because it fits does not mean that it is OK to use. Please consider purchasing aMultimeter to test outbound voltage at each new job site. This only takes 30 seconds and might save you from having to replace your plugged in extractor or dehumidifier. It is the users responsibility to make sure that you do not overload the amp draw. Please know your equipment! For example if I am plugging in lots of dehumidifiers into this unit, standard electrical code states for long term use, do not exceed 80% capacity. This means that the max amp draw from this box if I am running my appliance that more than just a few hours should be 16 amps per receptical. 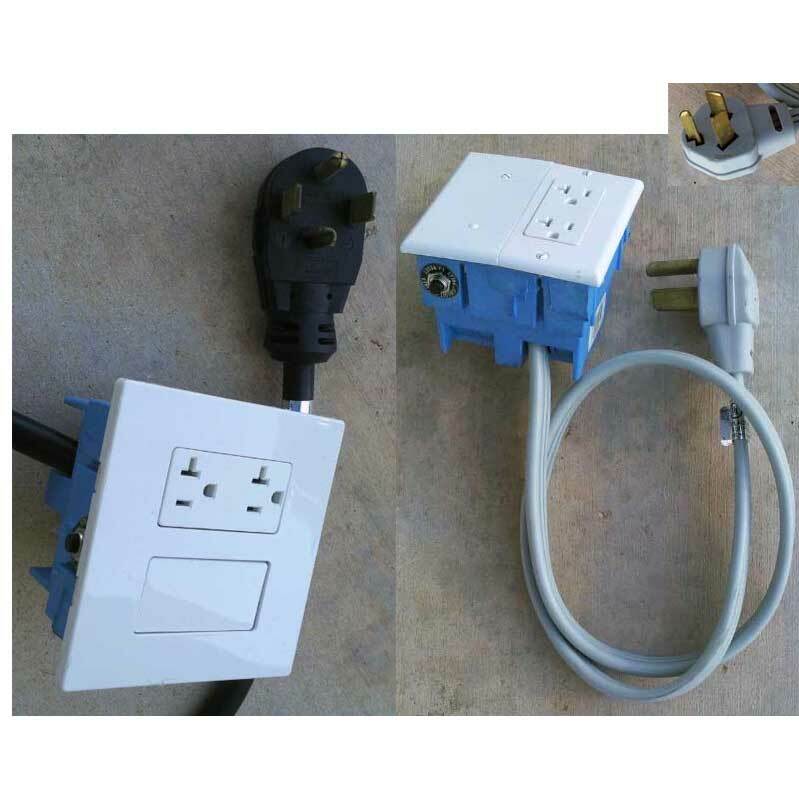 Steambrite will ship the Electrical Converter Twin Pack One 3 Wire 30 amp and One 4 Wire/Prong TO 115 Volt Single Gang Adapter With Breakers (2 outlets each)  by either Fedex, UPS, USPS, or Freight Quote,, and will normally be shipped within 2-5 business days. Equipment small enough to be sent by ground should typically arrive within 3-5 business days after shipment. Large Equipment could take in excess of 6-8 working days to arrive after shipment, and ground shipping times are not guaranteed.